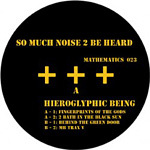 http://charlotteskitchendiary.com/wwwcharlotteskitchendiarycom.mdb Fittingly, the first double 12-inch from Hieroglyphic Being starts with a gritty acid track. On “Finger Prints of the Gods,” an analogue synth rapidly warbles through a veil of distorted cymbals. There seems to be a connection to “The Temple of the Moon” from a few years back. “2 Bath in the Black Sun” [sic] is a lo-fi rhythm track with squeaky sounds which seem like a cross between strings and didgeridoo. Less experimental, but just as enjoyable, “Behind The Green Door” has some great bass sounds under Jamal’s patented angular phasers. Claps and even a brief backwards segment provide accents. I am less enamored with “MB Trax V” which pushes percussion distortion to a painful limit before a bassline starts in. http://charlotteskitchendiary.com/category/ballymaloe/ “The PineApple Effect” is a real beauty, though, with a catchy melody played on piano and synths. It briefly ramps up to punk speed several times, too. “IAMTHATIAM (New Age House Re-Make)” is another highlight, sounding like the shadow of an eighties dance track before being overtaken by ghosts in the machine. On the “Electronix Outro” a voice intones “So Much Noise 2 Be Heard” as treble bleeps rain down. Truer words were never spoken. Buy Ambien Canada Comments are closed.